This is the story of Raul, a boy of few words, fewer friends, and almost no family. He is a loner—but he isn’t lonely. All week long he looks after the younger boys at One of Our Kind Boarding School while dodging the barbs of terrible Tuffman, the mean gym teacher. Like every other kid in the world, he longs for Fridays, but not for the usual reasons. The woods have secrets...and so does Raul. As soon as the other students go home for the weekend, Raul makes his way to a lighthouse deep in the heart of the woods. There he waits for sunset—and the mysterious, marvelous shapeshifting phenomenon that allows him to go home, too. 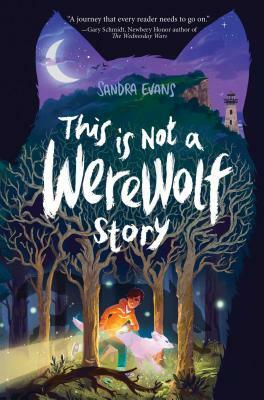 Sandra Evans drew inspiration for This Is Not a Werewolf Story from cultural sources, including the “sympathetic werewolf” stories of twelfth-century France and Celtic myths. She wrote the novel for (and with input from) her son. Sandra is a native of Whidbey Island and earned her doctorate in French literature from the University of Washington. This Is Not a Werewolf Story is her first book for children. "Raul’s story of courage in the face of bullying and life-threatening danger in an easy read will appeal to readers of suspense and adventure tales."